Am I Happy With Jlb Motorsports? I call JLB Motorsports on monday, april 6th and place my order with them for new rims for the car. 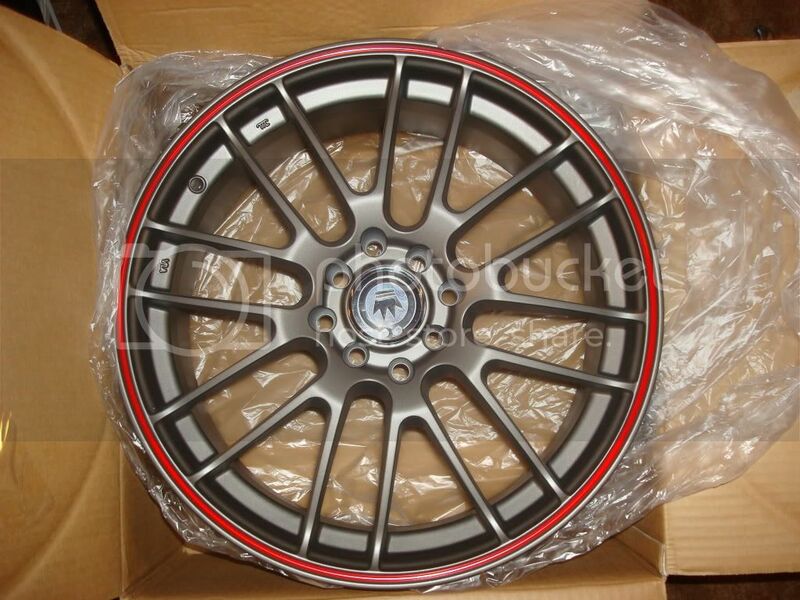 At approximately 5:30pm CST my paypal transaction went through and the rims were ordered. On Thursday, april 9th, I have a UPS driver at my door at 5:15pm CST saying I have to sign for my rims!!! Holy bat droppings Robin! Between JLB, Konig, and finally UPS shipping rims from New York to Kansas, I am super happy with this business transaction and wish to thank all three for such fine service. which ones did i get you ask? Good stuff, I can't say enough good about those guys. I bought all of my rims from them. Hell, 5 rims from them SHIPPED was cheaper than the cheapest price I could find for 4 rims shipped anywhere online. didn't you just post something like "these are the ones i'm ordering?" like last night? my car is silver but will be getting repainted to a dark grey smoke metallic after my teardown that starts on the 20th ends, roughly a 3 month teardown we are thinking it will be. HKC, yeah these are the ones, crazy shipping times eh? Yeah JLB is the best. I don't go anywhere else for rims. Sounds like Ill have to give these guys a shot when I order some rims. Good to hear. Cant wait to see your car all done Urson. ^^^ lol, you aren't the only one. i'm getting tired of living in a tiburon parts warehouse!